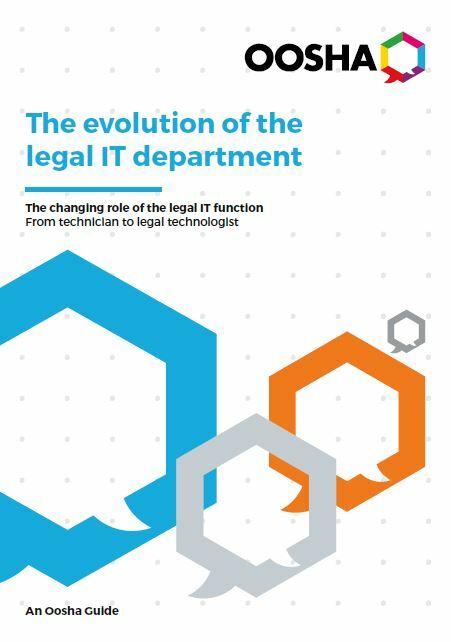 The role of the IT function within law firms has been constantly evolving over the past decade, but the changes for IT are now arguably far greater and more fundamental than ever, as a result of the disruptive technology forces impacting the legal sector. For some, the very core of the IT department’s role - namely maintaining IT - is moving increasingly into the background, as firms strive for a ‘cloud-first’ approach. In parallel, a whole new range of tasks is being placed on the IT leaders shoulders, requiring additional capabilities and demanding much greater emphasis on innovation and modernisation. More and more IT leaders need to make the transition from a purely operational focus to become legal technologists - skilled in identifying how new technologies can be leveraged to improve the customer experience, productivity and efficiency. Key considerations for partners and IT leaders as you face a crossroads - embrace technology disruption or maintain the status quo and see how things play out.